Laptop battery is a kind of Lithium Ion ( Li-ion) battery which has features like high efficiency, slow discharge rate, best energy to weight ratio etc.Unlike other rechargeable batteries, Lithium ion battery uses Lithium as the active material. During discharge, the lithium ions move from the negative electrode to the positive electrode. The flow of lithium ions reverse during charging. Lithium Ion battery outperforms other types with its features like High open circuit voltage that deliver high power at low current rate, Low self discharge rate of 5-10% per month etc. But along with these advantages, lithium ion battery has demerits also. Memory effect, self discharge, over heating etc are the most important drawbacks of Laptop battery. Let us see how this happens and the solutions to prevent this. Digital camera is a high drain device consumes large amount of power in each click. Digital camera with LCD and flash light can draw over 1000 mA quickly and depleting the alkaline batteries after a few shots. Alkaline batteries have approximately 3000 mAh capacity with a 1000 mA load. So we have to use a high efficient battery such as NiMH ( Nickel Metal Hydride) battery. NiMH battery outperforms other rechargeable batteries and has higher capacity and less voltage depression. The toxic Cadmium is absent in NiMH battery so it is the most Eco friendly one. Typical NiMH battery is rated 1.2 volts/cell. This is the nominal voltage of the cell that is discharging at the rate of C/10 at 25 degree centigrade to an end voltage of 1 volt. The battery pack has three 1.2 volt cells making a total 3.6 volts. When a fully charged battery is used, the discharge voltage starts from 1.5 volts followed by a sharp drop to 1.3 volts. The voltage in the cell remains 1.3 volts to 1.2 volts until another voltage drop occurs during a deep discharge. The NiMH battery is similar to NiCd cells in structure but it uses a hydrogen absorbing alloy as negative electrode instead of cadmium. The positive electrode is a nickel oxy hydroxide (NiOOH).NiMH batteries can easily handle the high current levels and maintain their full capacity. AA type NiMH cells have a nominal capacity (C) ranging from 1000 mAh to 2700 mAh at 1.2 volts with a discharge rate of 0.2C / hour. Rarely, but possible if a damaged battery is over charged.Improper maintenance and unnecessary charging may results in battery damage. The reasons for explosion may be a damaged battery, over charging, overheating, voltage spikes and lightning during charging etc. 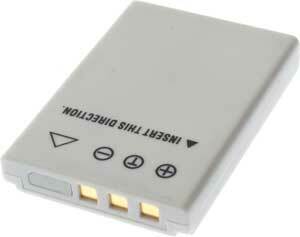 Mobile phone battery has Lithium Ion chemistry and is long lasting and maintenance free. Proper charging and discharging are necessary to maintain its life. If well maintained, the battery can be in top condition for more than three years. Over charging is the major cause of battery damage. It is better to charge the battery only when its charge indicator drops to 20% charge level. Unplug the charger after 1 hour when the charging process completes. Do not allow overnight charging. Also use a good charger that can give sufficient current for charging. The major cause of the battery explosion is gas accumulation inside the battery since there is no vent to release the gas. This occurs only when the battery deteriorates due to aging. The lithium battery has flat surface but the battery bulges out when the gas accumulates. A simple trick can be used to check this. Place the battery on an even surface and rotate. A good battery will not rotate while a bulged one will rotate. Replace this battery immediately. A word of Caution– don’t use cell phone while charging. Our head is valuable than the Cellphone. Let us see more about the Mobile phone battery. Lithium Ion (Li-ion) batteries are common in consumer electronics. It belongs to a family of rechargeable battery and uses lithium as the active material. During discharge, the lithium ions move from the negative electrode to the positive electrode. The flow of lithium ions reverse during charging. Lithium ion batteries are extensively used in portable devices due its features like best energy to weight ratio, absence of memory effect, high efficiency, slow self discharge etc.